A few months ago, my daughter and I went to see an animated film. One of the trailers before the film was for Hidden Figures. I was surprised to see my daughter so riveted. After the trailer, she turned to me and said, "I want to see that, Daddy. They look like me, and they're really smart." Every time we saw a poster or ad for the film, my daughter became excited. The idea of seeing a film featuring three smart Black women appealed to her greatly. I truly believe that representation matters. Seeing people who look like yourself in films or television or even comics is empowering. Some say, "It's hard to be what you hardly see." So, my wife and I discussed taking Camilla to see the film. I thought what made the most sense is talking about the film's plot beforehand. In addition, I gave my daughter a few things to look for in the movie. (How were the main characters treated? How were they brave? How did they show their intelligence?) All of this prep worked. She loved the movie and had a solid understanding of the story. Camilla decided she wanted to do a review of the film, which she wrote thoughtfully. I decided to record her reading the review and then shared it on Twitter. Then, social media magic happened. People, including members of the cast and crew of the film, loved the review. In addition, Mic.com saw my post and reached out to me to ask questions about the review. As did Clutch Magazine. Then, Mic.com also did this! It's beyond amazing that all of this happened just because my daughter wanted to see Hidden Figures. 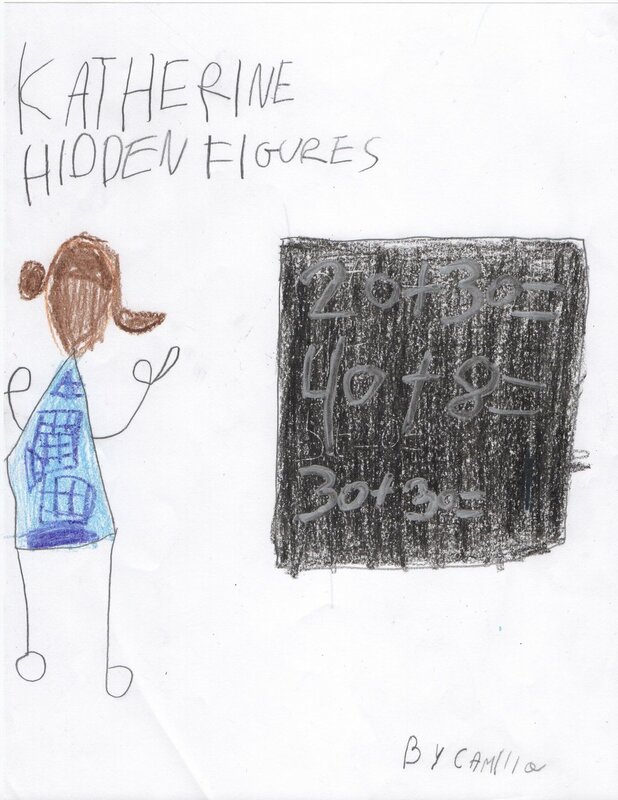 It's equally amazing that so many appreciate how my child is being impacted by the bravery and brilliance of Katherine Johnson, Mary Jackson, and Dorothy Vaughan. Thankfully, they are hidden figures no more. Here's to more representation that matters!